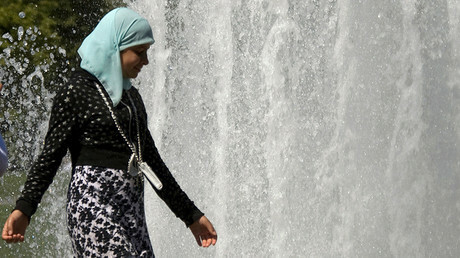 A new study from the Austrian Academy of Sciences shows that 40 percent of refugees in Austria believe religious commandments take precedence over the nation’s laws, prompting the country’s foreign minister to push for a rigorous new integration package. The survey, which was conducted on behalf of the country’s Department of Integration (Integrationsressort), found that 90 percent of officially recognized Austrian refugees believe democracy is an ideal form of government. The study also found that 80 percent believe in the equality of men and women, and 83 percent have no problem with other religions, Austrian Die Presse reported this week. Yet, 40 percent of the same people questioned for the study said that religion is a more reliable guide for behavior than secular state law, with 80 percent supporting adherence to religious law in the public sphere. At the same time, only 61 percent admitted to being religious, while 45 percent don’t believe all religions are equal. Some 900 Austrian refugees – 43 percent Syrian, 37 percent Afghan, and 20 percent Iraqi – took part in the survey during the summer and autumn of 2016. Slightly more than half were 18 to 30 years old, and 80 percent were male. About half of those surveyed thought the lifestyles of Western people are too liberal and that they have too much freedom. In addition, despite the majority acknowledging women and men as equals, nearly all wanted to see Muslim women covering up in Austria. Some 37 percent also said they wanted separate gym classes and swimming lessons for boys and girls in schools, and one in five even said women should not be allowed to work. Finally, 88 percent of the interviewees said they accept the living habits of the Austrians in general, but 38 percent admitted that they were too free-wheeling for them. The obviously contradictory findings prompted Sebastian Kurz, who is both Austria’s Foreign Minister and Minister of Integration, to push for expanding integration courses for refugees at the second international integration conference – ‘Vienna Future Talks’. Though these courses have been vehemently criticized since being launched in the beginning of 2016, Kurz said the study shows they are still a necessity, as they have only partially fulfilled their purpose so far. The Austrian integration minister also visited one such course with an international delegation as part of the conference. “We can see from this study that there is consent among refugees to abstract basic values. But that does not mean that these people have internalized these principles, neither that they are ready to live by them,” Kurz told the press on Monday. The minister called the integration process a “major challenge,” while noting the importance of showing Austria’s newcomers the country’s basic values and helping them “clearly define boundaries” for their behavior. 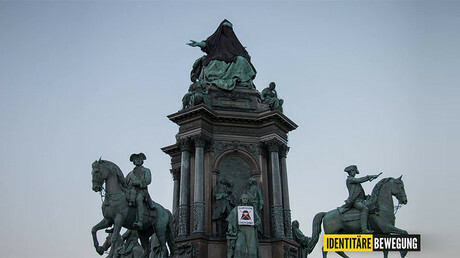 “If there are violations against our laws or our basic values, we do not react with exaggerated tolerance, but show that the regulations in Austria must be strictly adhered to,” the minister stated, while mentioning a number of new proposals that he said would “hopefully soon become integration laws.” Among other measures, these include a ban on full-face veils, such as the burka, and a ban on Quran distribution projects, as well as a compulsory low-wage employment for refugees. These and other initiatives still have to be agreed to by Kurz’s coalition partners, the Social Democrats, who have been speaking out against the burka ban and €1-per-hour employment. The integration courses, known in Austria as “orientation and value” courses, are 8-hour seminars where refugees learn about Austria’s behavioral standards and societal values. Around 15,000 asylum seekers have taken part in them since their establishment last year, according to statistics from the Austrian Ministry of the Interior. In November of last year, the Austrian Interior Ministry admitted that there has been a steep jump in the number of crimes involving asylum seekers over the past few years. This has bolstered the nation’s anti-migrant sentiment, which led to a cap of 37,500 asylum claims being imposed last year. Austria took in 90,000 asylum seekers at the peak of Europe’s migration crisis in 2015.